The Flame Challenge – an awesome STEM project for kids! | disrupt learning! If you don’t listen to ScienceFriday on NPR, then you may not know about The Flame Challenge. 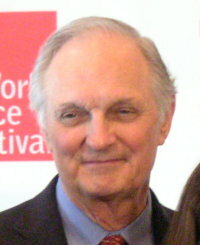 The Flame Challenge is a contest, launched by actor and science advocate Alan Alda, to answer the question that he had as an 11-year old boy, “What is a flame?” The contest invited scientists from all over the world to answer that question in a way that an average 11-year old kid could understand. I listened to the program yesterday and the results are in and a winner has been selected by 11-year old kids around the world. The winner is Ben Ames, a Ph.D. candidate in Quantum Optics, from the University of Innsbruck. I think you’ll agree that his video is really amazing. Even I could understand just about everything Ben was talking about! I can easily imagine embedding some interaction and formative assessment opportunities for kids would make this a STELLAR lesson. Take a look….what do you think?? For more information about this contest visit http://flamechallenge.org/, where you can also see the entries of the finalists and honorable mentions. Submissions suggesting next year’s question topic are now being accepted from 11-year olds everywhere. Visit the site, if you would like to get your children or students involved. This entry was posted in Academics, STEM, Technology and tagged Alan Alda, Ben Ames, Flame Challenge, New York, NPR, Quantum Optics, science, science for kids, science videos, STEM, Stony Brook University, University of Innsbruck, World Science Festival. Bookmark the permalink. 1 Response to The Flame Challenge – an awesome STEM project for kids!